This is a story about a kale plant from last summer. At the end of last autumn I became a little lazy so I failed to pull out the kale plants figuring I’d get to them in the spring. As the snow finally began to melt away, sure enough kale stumps covered in wilted leaves revealed themselves. But, there was something different about one of those plants. While most of the leaves on the other plants remained wilted and yellowed, there was one plant that stood out. It’s leaves were vibrant and green! Could it be? I tested one leaf of kale in my morning smoothie shortly after and found it tasted just fine. It had survived our winter! Ok, so if you’re from Montreal you’ll know that we had a shorter and milder winter than usual so I guess this is not quite a stretch, but still! 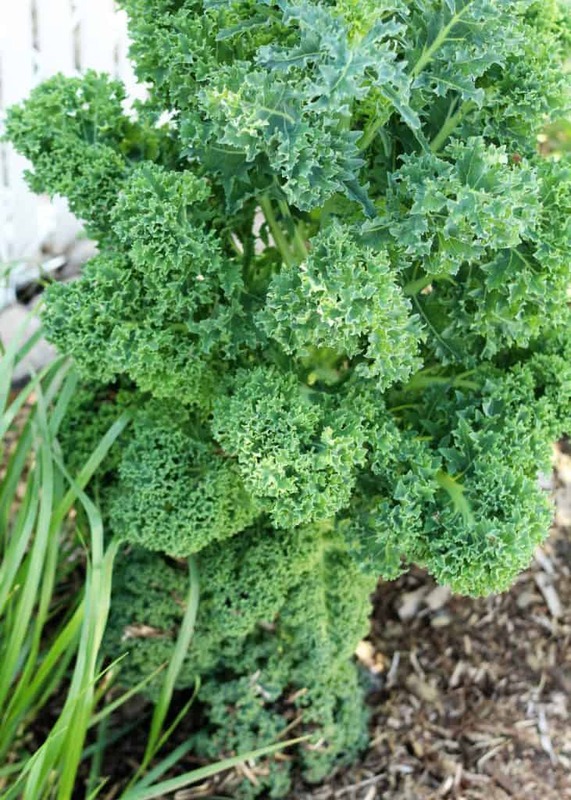 I haven’t made my favorite kale salad all winter, preferring to wait until I harvested my own. Thankfully that occurred earlier than I thought. 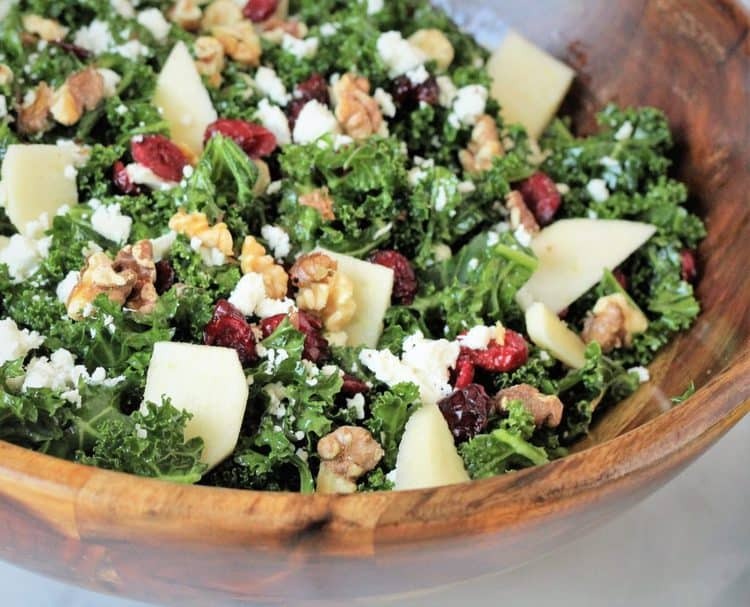 I haven’t met anyone who doesn’t like this kale salad. 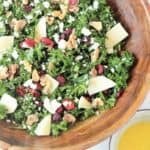 I began serving it at family gatherings and barbecues since I had an overabundance of kale last summer. 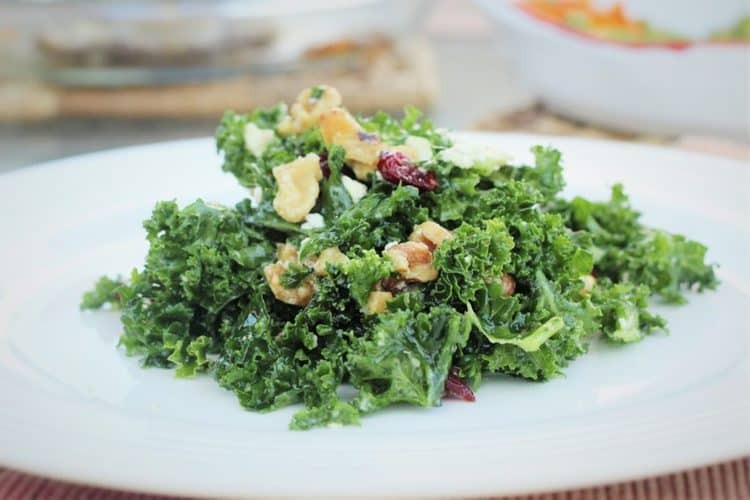 So much that many of my guests would leave my home with a little gift bag of kale! I was not always a big fan of combining savoury and sweet ingredients in a salad until recently, and now I’m hooked. 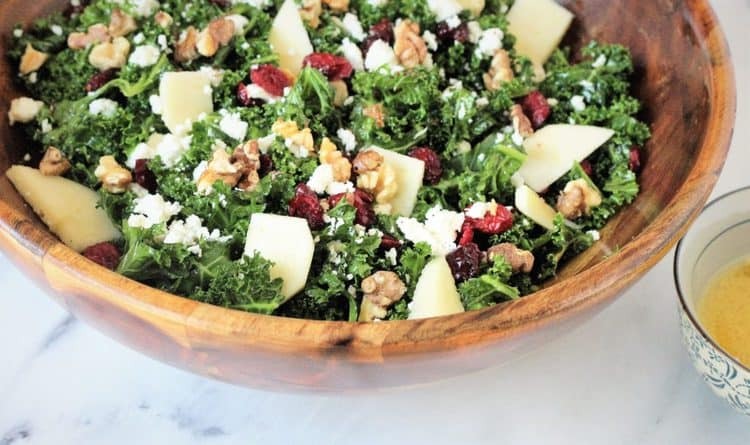 Adding nuts and feta are a wonderful contrast to the sweetness of the cranberries and apple slices and you get the extra protein as well. I also like substituting pecans for the walnuts, but basically you can add any nuts that you prefer. It’s so filling I sometimes have it as a meal. Yes, it even fills ME up! So here is my first kale salad of the year and I’m looking forward to lots more until fall. Before I forget, for those of you who will come by this summer, yes you can always count on me for a kale care package when you leave. Enjoy! This delicious salad has the perfect balance of flavours and textures. Perfect as a side dish but hearty enough for lunch! 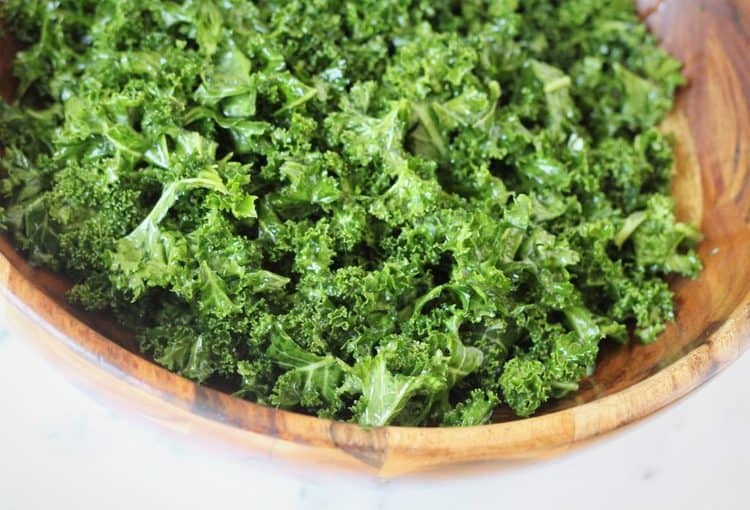 Coarsely chop the kale leaves and add to your salad bowl. Add a little olive oil and using your fingers, massage each leaf until all are coated in oil. In a separate bowl, add the vinaigrette ingredients and stir until well combined. 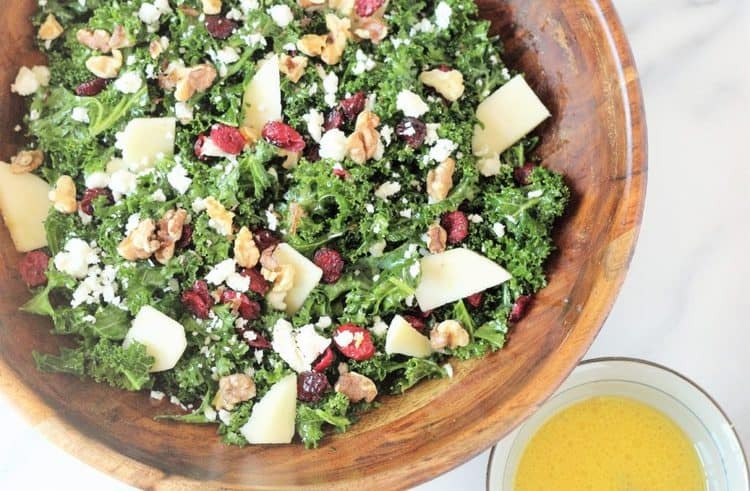 Add the vinaigrette to the kale and toss well. Toss in the remaining ingredients (apple through feta) and serve. Yes it is starting to flower! I have to keep the seeds. Thanks! The same happened to me again this year! Thanks for stopping by Ann, hope you enjoy the salad!